Under 21 must be accompanied by parent/guardian. Ticket sales have closed – advance sales only. 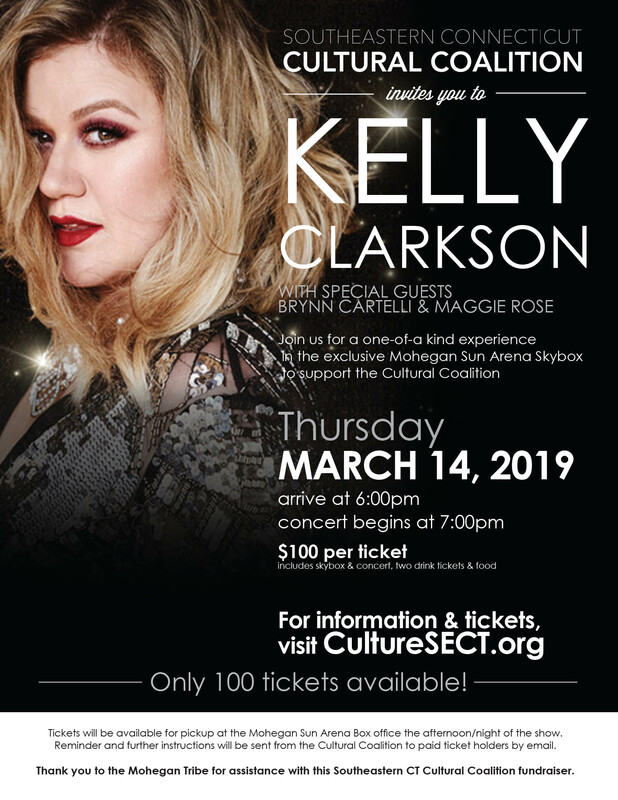 Those who have purchased tickets have been sent instructions from the Cultural Coalition regarding pickup the afternoon/night of the show at Mohegan Sun. No Replies to "Kelly Clarkson at Mohegan Sun Skybox Fundraiser"